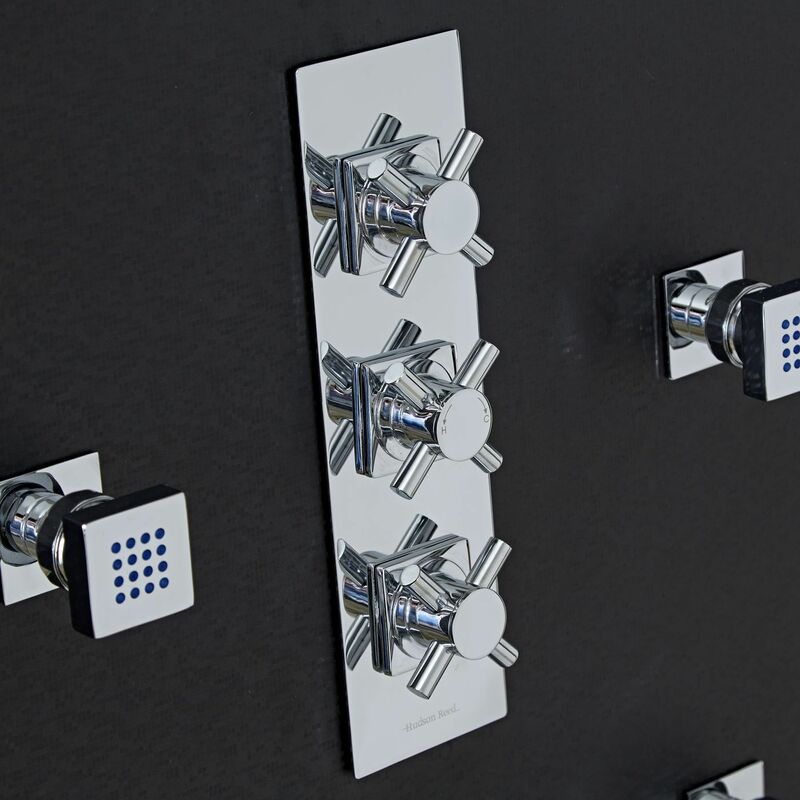 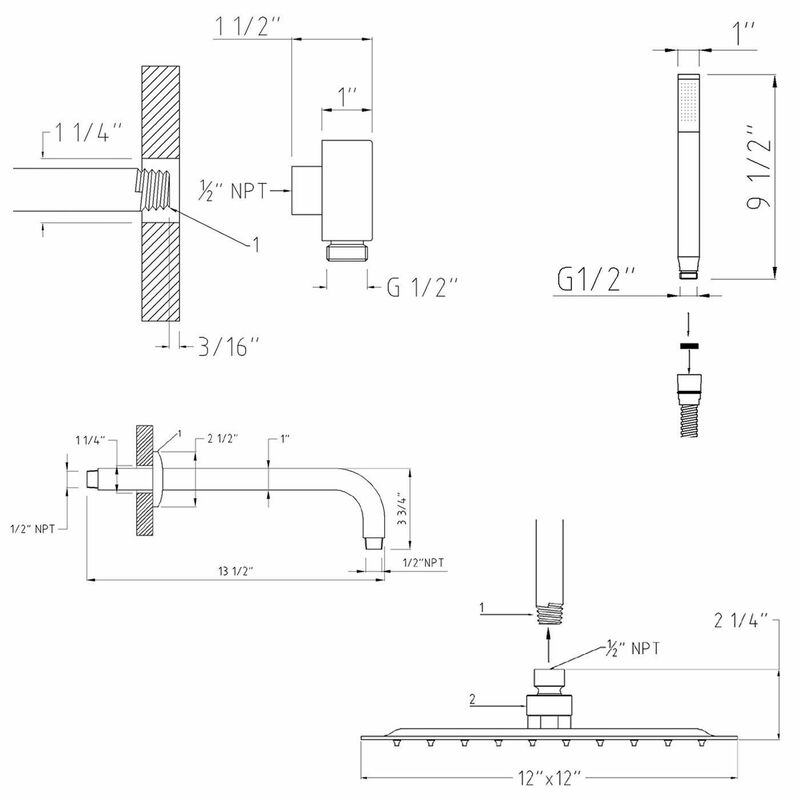 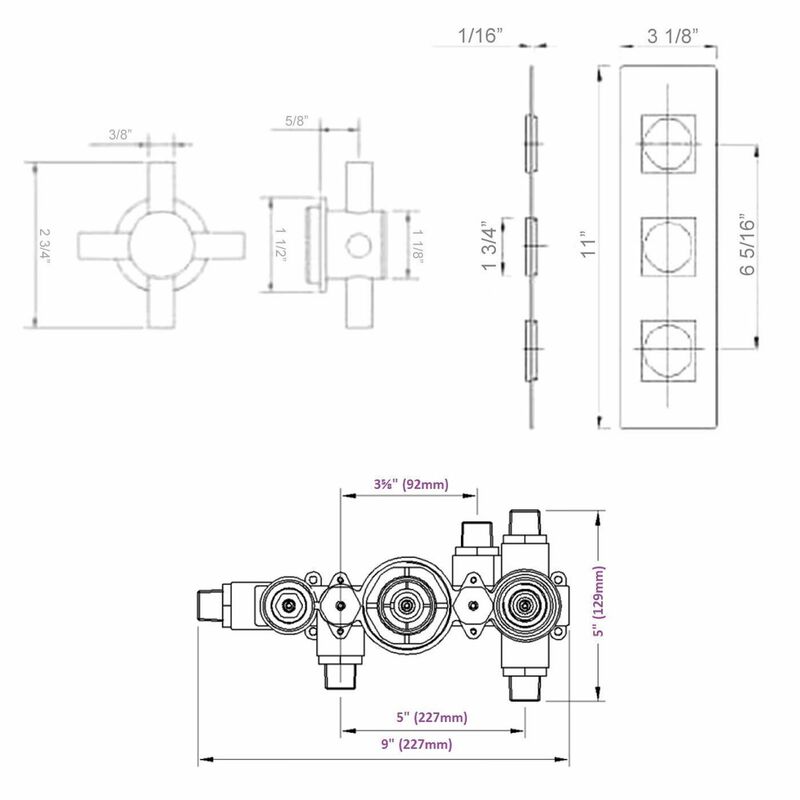 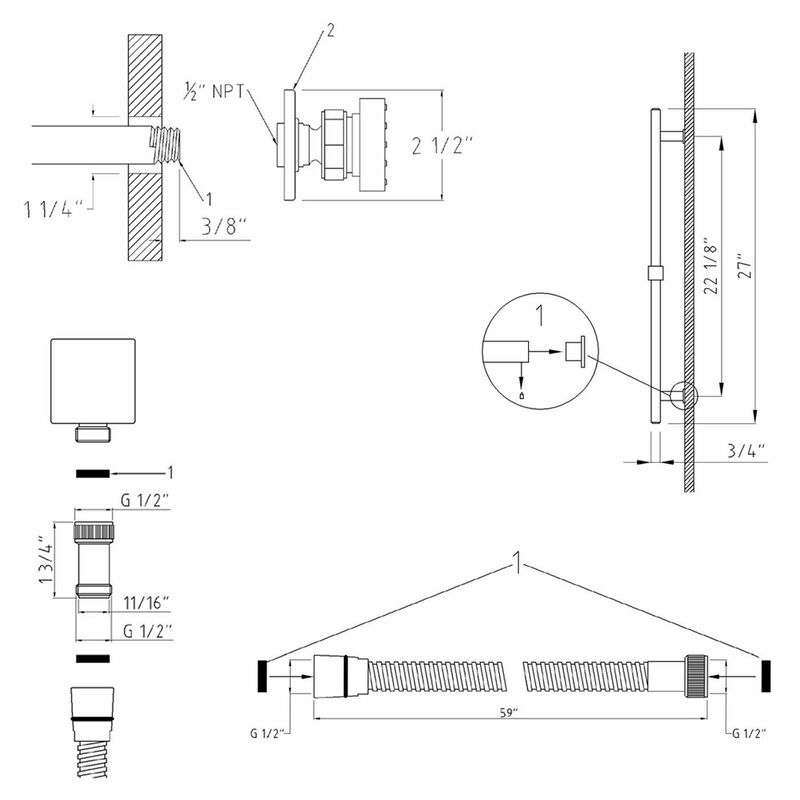 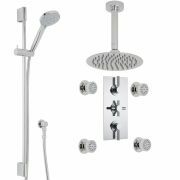 The Kristal shower system from Hudson Reed comes complete with six body jets, slide rail kit, triple thermostatic shower valve and the 12" fixed shower head with wall mounted arm. 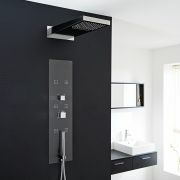 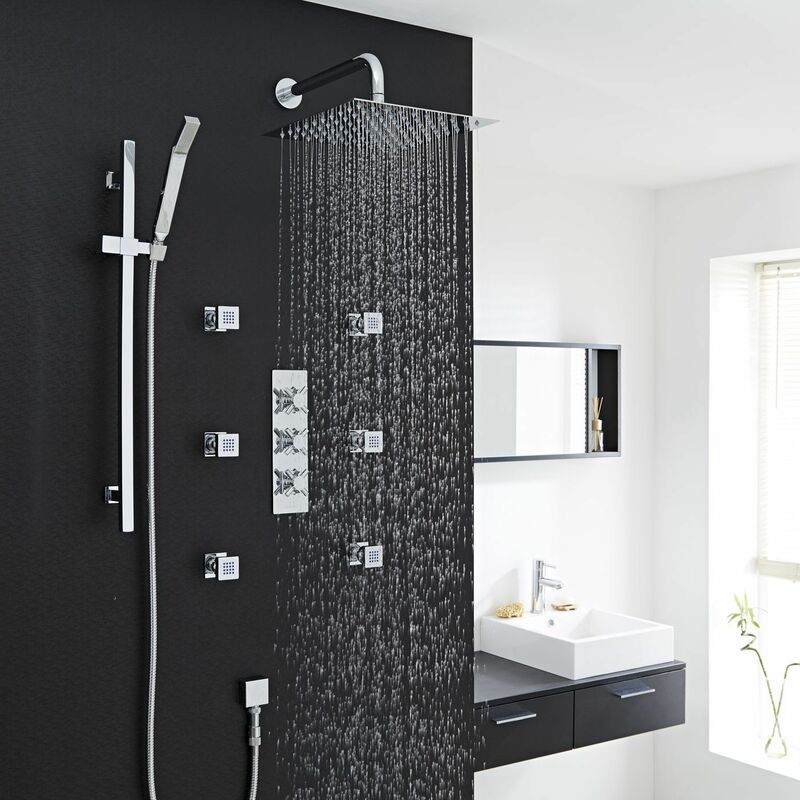 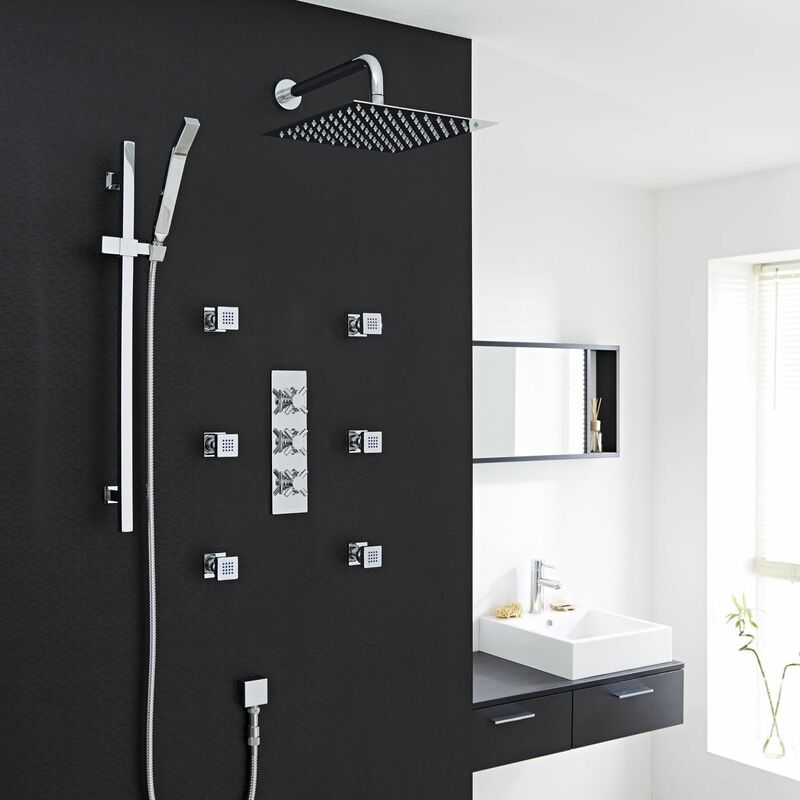 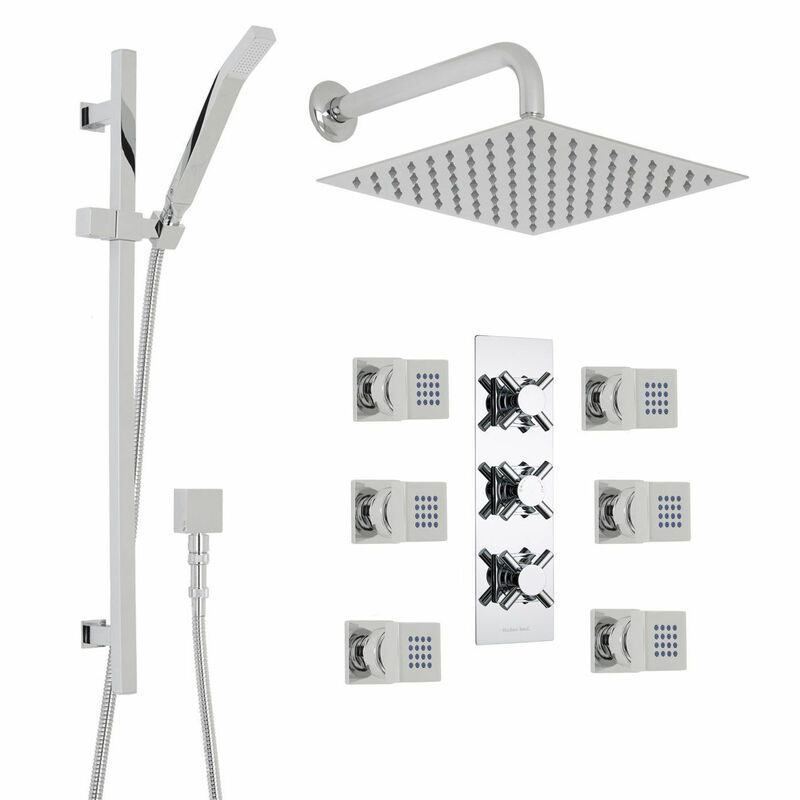 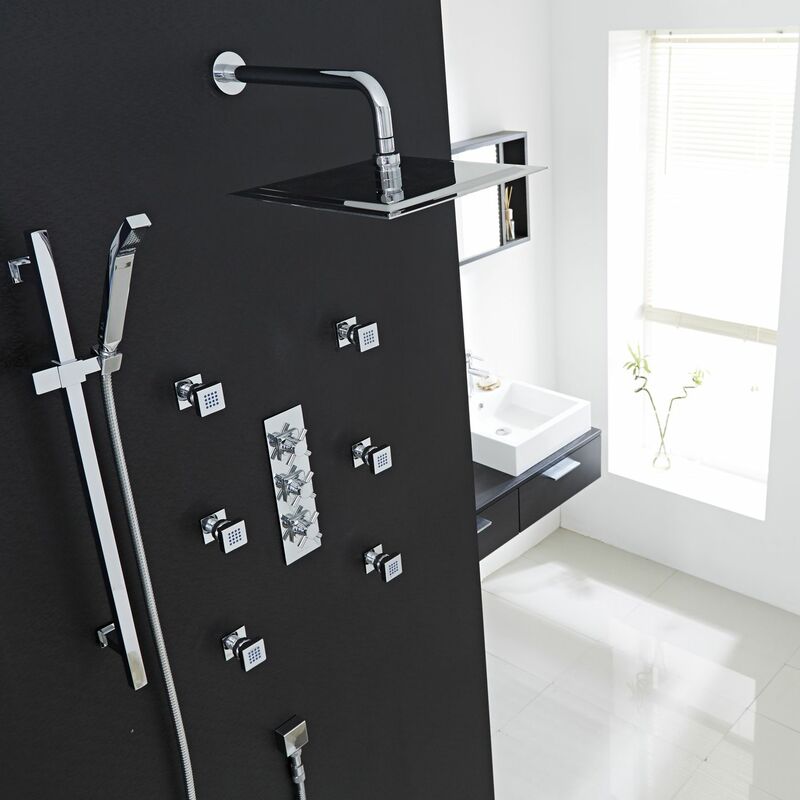 Perfect for creating a modern look to any bathroom, this shower kit delivers a superb showering experience. 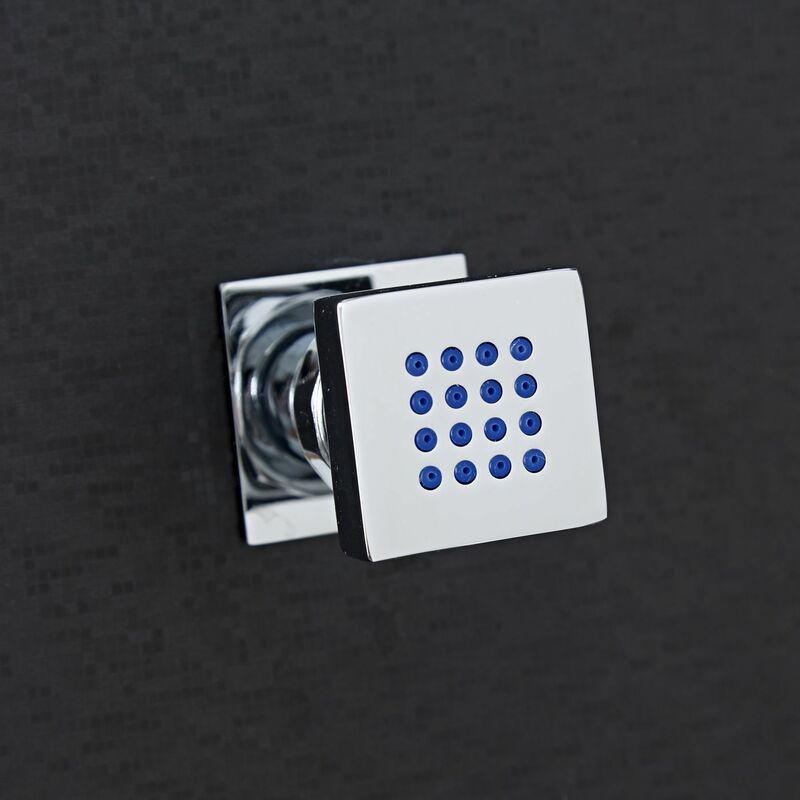 Made in Great Britain, the shower valve features ceramic disc technology, as well as a built-in anti-scald device for complete peace of mind.